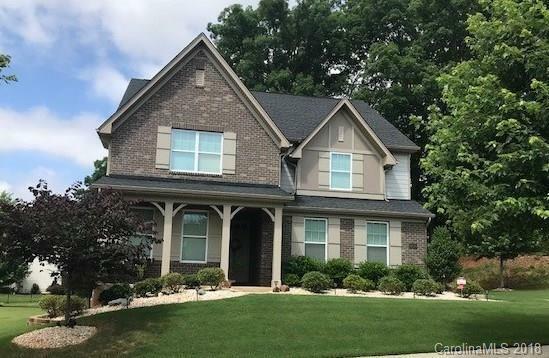 4030 Conner Glenn Drive, Huntersville, NC 28078 (#3364806) :: Robert Greene Real Estate, Inc. Beautifully maintained home in desirable Beckett Community. Move-in ready three story home on a generous size lot, 3 car garage, open concept living space with hardwood floor, 8 ft doors, gas fireplace and an abundant amount of natural lighting throughout the first floor. Gourmet kitchen with granite counter tops, gas cooktop, Stainless appliances, double oven and large walk- in pantry. Coffered Ceiling in DR, Bedroom or Study on main floor with full bath. Second floor opens to a cozy loft. The Master suite offers coffered ceiling, luxurious bath with oversized tub, his and her walk-in closets. 3 additional bedrooms on the second floor with a full bath and laundry room. Third floor boasts a large bonus room and full bath which could also be used as a 6th bedroom. Private Back Yard. A MUST SEE HOME. Beckett community has a pool, playground and clubhouse.